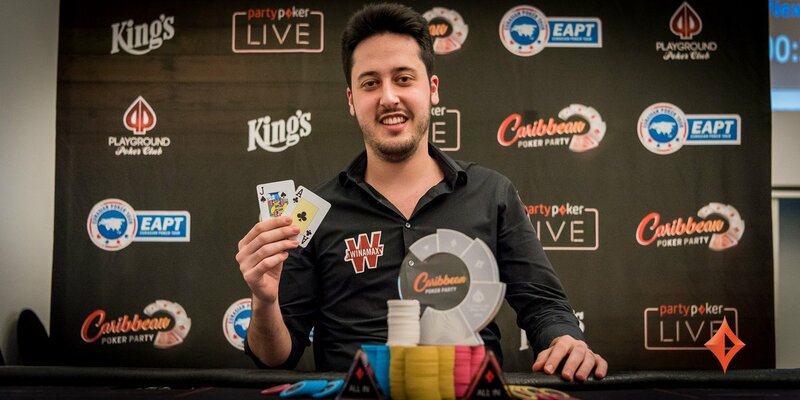 Tags: Adrian Mateos, caribbean poker party, Chris Hunichen, partypoker, Preben Stokkan, Rainer Kempe, Sam Greenwood. 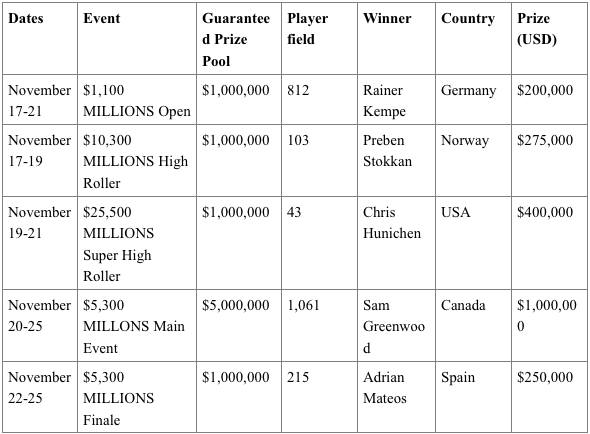 $1,100 MILLIONS Open - Rainer Kempe emerged victorious over a field of 812 participants to win the $1,100 MILLIONS Open for $200,000. 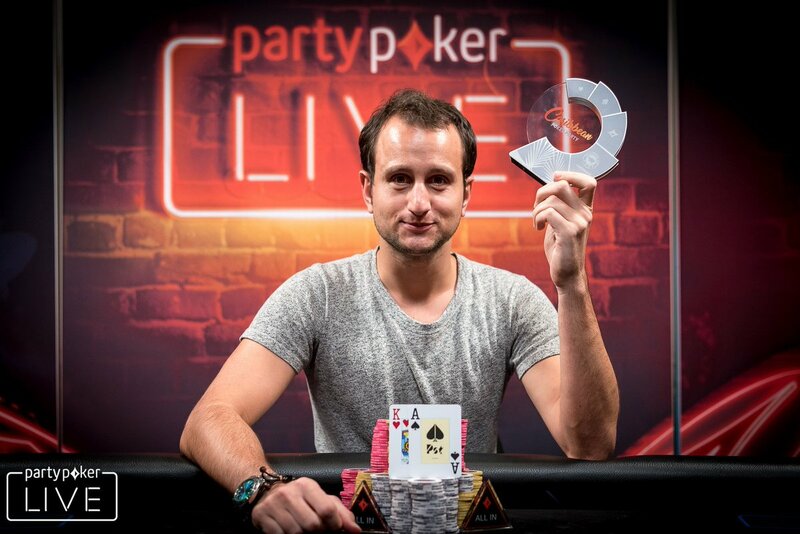 The 28-year-old German national now has a super impressive tourney stats with more than $11 million in live earnings. He said during the winner's interview, "I'm just happy that everything went as smooth as it did in the end." The prize pool was $999,100. $10,300 MILLIONS High Roller - Norwegian poker pro Preben Stokkan beat a total of 103 other players, some were even WSOP bracelet winners at the final table including Sam Greenwood, Alexandru Papazian and Pascal LeFrancois, to bag the $10,300 MILLIONS High Roller event, with the cash prize being $275,000 after he finally beat start-of-day chip leader and two-time WPT champ Jonathan Little. 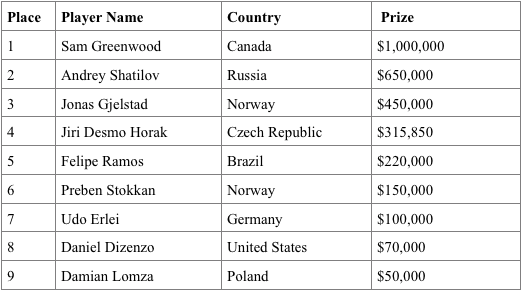 Stokkan, now has around $800,000 in live tournament earnings. $25,500 MILLIONS Super High Roller - On this event, there were 43 entrants, including the likes of Stephen Chidwick, Stefan Schillhabel, David Peters, Steve O'Dwyer, Kristen Bicknell, Joao Simao and Fedor Holz, but they were all beaten down before they could reach the final table. 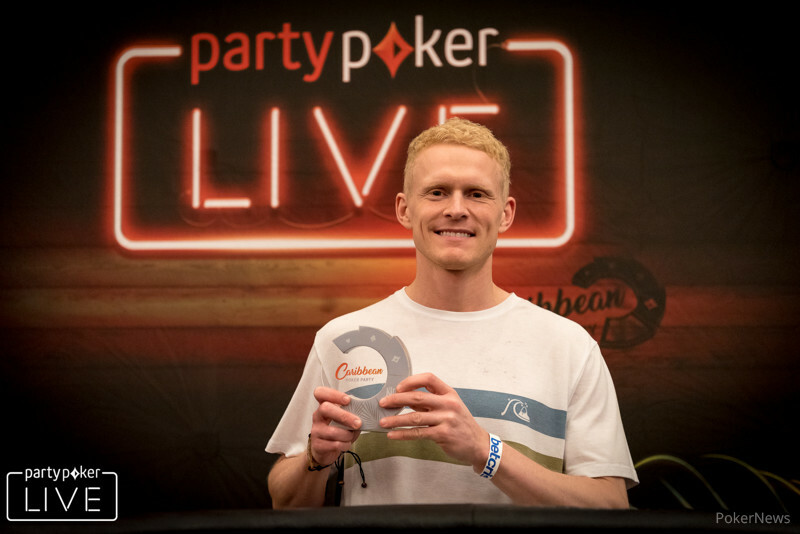 The day began with partypoker's Global ambassador, Sam Trickett, as chip leader to the final table, and it was Chris Hunichen who claimed victory and won the $400,000 prize. 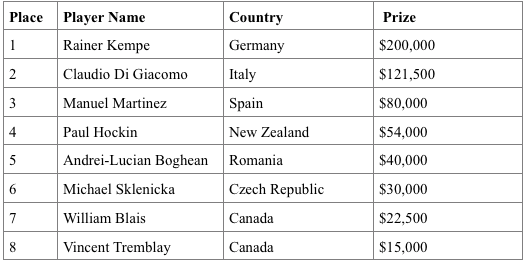 The American-born ‘Big Huni' who now calls Costa Rica his home has almost $2.2 million in career live tourney wins thanks to his previous biggest cash this past summer at the 2017 WSOP. Most people know him to be humble and with an easy-going attitude, and he almost got his first bracelet ever with a second-place finish in the $5,000 No Limit Hold'em 6 Handed Event for $358,677. The prize pool was $1,042,750. $5,300 MILLONS Main Event - Canadian poker pro Sam Greenwood defeated a 1,061-entry field to win the sweet first place prize of $1,000,000! Now he has $2,115,757 live tournament winnings, and this most recent win was his seventh final table finish of the year and his biggest cash of 2017. He said, "It was just crazy, I don't think I have ever run this good. I won so many all ins and I'm happy with how well I played. In the high rollers, it was more of a steady climb but in the main, I was all in so many times." Greenwood started the final day of this event as chip leader with 12 players left. 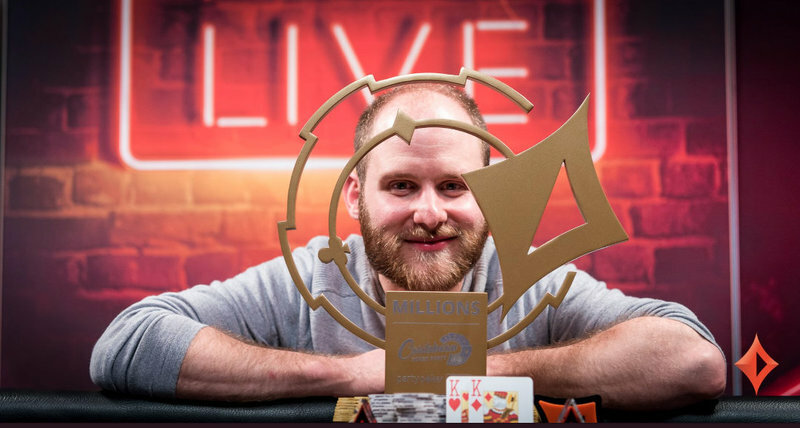 He managed to knock down $10,300 MILLIONS High Roller winner Preben Stokkan in sixth place and Jonas Gjelstad in third place to a heads-up match with Shatilov. He won when he had pocket kings against Shatilov's 8 and 9 of clubs; The flop showed 8 of spades, 6 of spades, and 4 of hearts. The 3 of diamonds hit the turn, with 5 of diamonds on the river, making Greenwood the winner. Some notable players who were eliminated earlier on include Maria Ho (25th place - $34,000), and Mike Sexton (24th place - $34,000). The prize pool was $5,145,850. 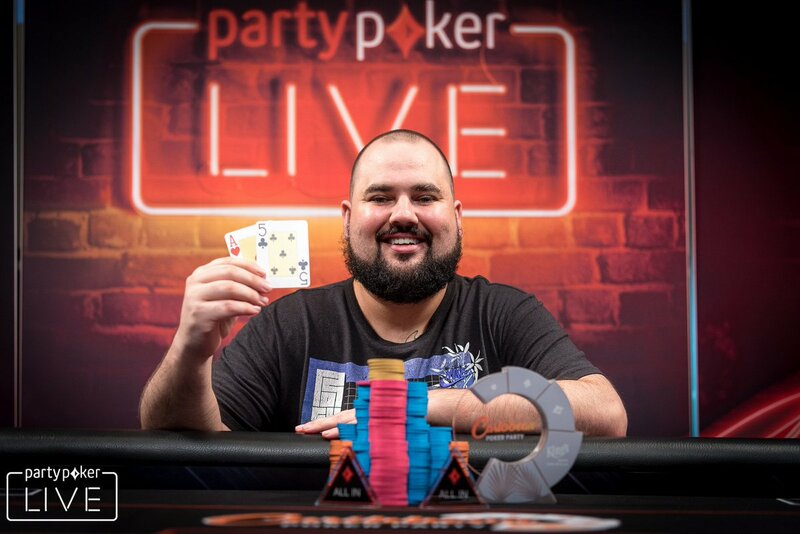 $5,300 MILLIONS Finale - Three-time WSOP bracelet winner Adrian Mateos brought down a tough final table to walk away triumphant at the $5,300 MILLIONS Finale for an awesome $250,000 prize. The third and final day saw 26 out of the 215 initial participants, and three of them are unfortunately destined to leave the tourney empty handed, with the bubble bursting with 23 players left standing. There were several familiar faces that were in day three including partypoker-sponsored players Kristen Bicknell, Anatoly Filatov and Roberto Romanello). Also, in the foray were Barney Boatman, Manig Loeser, Kenny Hallaert, Koray Aldemir, and the recent High Roller event winner Chris Hunichen. 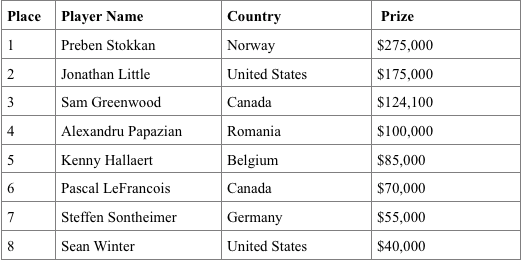 All of the above mentioned names made the money, except for Bicknell who bubbled the event in 23rd place, losing out to her partypoker teammate Filatov. The prize pool was $1,047,600. 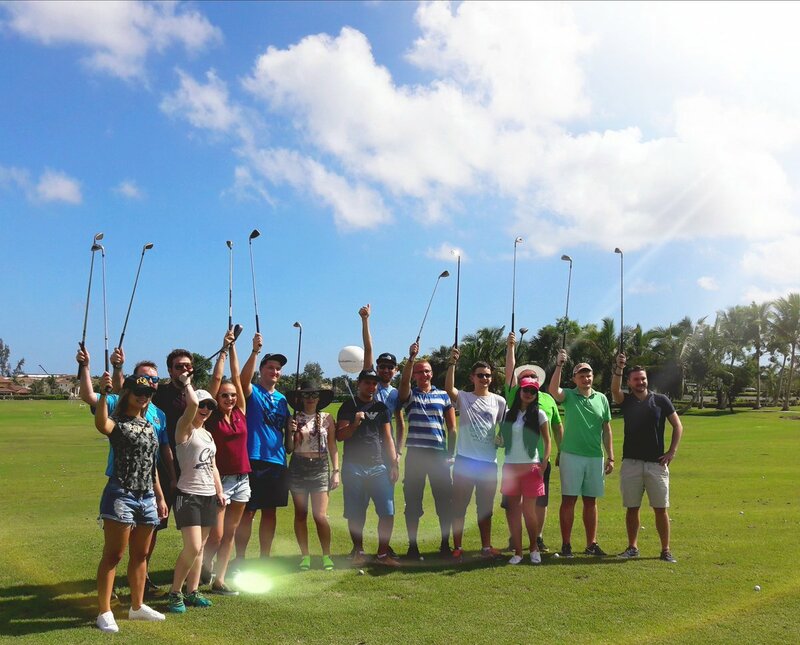 See below for photos of the golfing sessions as well as the beach and pool parties that the players have enjoyed during their stay at Punta Cana, Dominican Republic, courtesy of partypoker's 2017 Caribbean Poker Party. 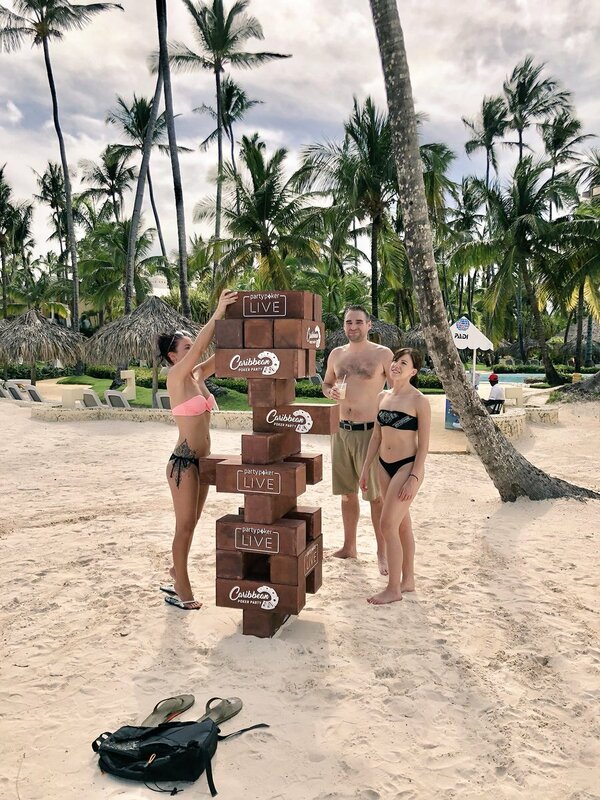 13 comments for "The Winners of the 2017 Caribbean Poker Party"
Good prizes for that event. If you won money along with being there... what more could you ask. Probably many of the winners will prolong their stay to that beautiful place. What a nice place to play poker in the Caribbean Poker Party! 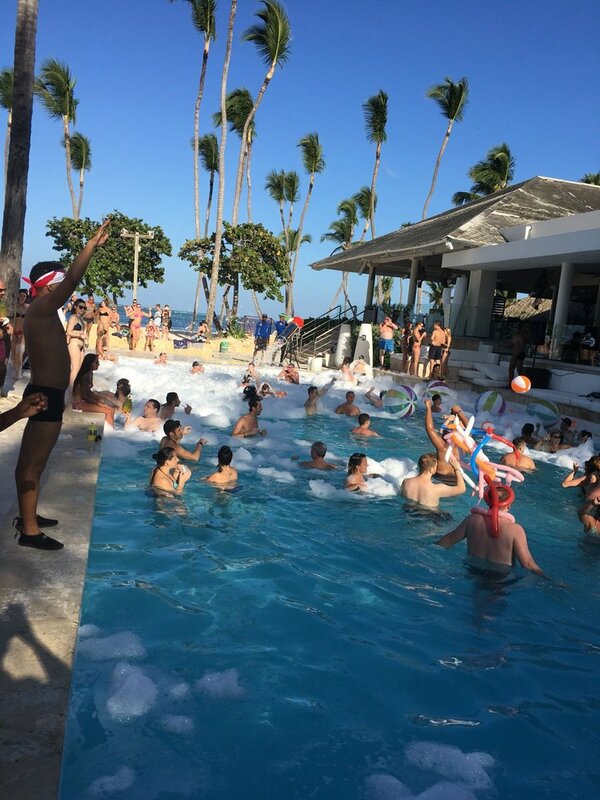 They have a lot of poker tourists in the last years in Punta Cana It´s the highlight of the poker year and it gives every time new motivation to try some sat´s to qualify every year. 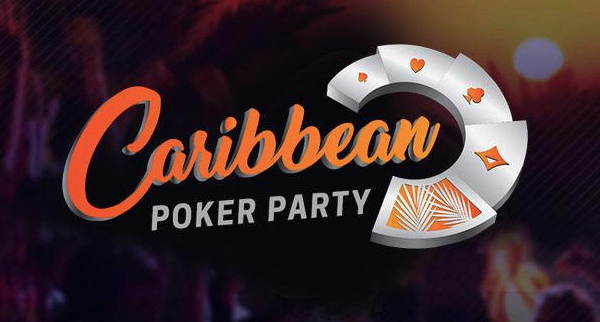 Caribbean Poker Party Festival hosted by partypoker was definitely one of the most coveted live events. The festival attracted thousands of aspiring poker players around the globe. Looking forward to next year's event. so great first prize for canadian player and 1 000 000 $ on his account!great vacation for him and what can you expect more in life!now he enjoy in this money and do something bigger with this amount!great job! I noticed this list of winners and i see two compatriots who won 40 k and 100 k with the entry of 1.100 and 10.300 dollars. Two notable performances. I'm sorry that StheP has not managed a cash prize at this big tournament and congratulations for the winners of these exciting tournaments. This is fantastic and with so many tournaments, with so many big prizes it was a dream to be there for every poker player around the world. I hope next year to be there through partypoker centroll tournaments, this year I was unlucky and lose that place for a little. 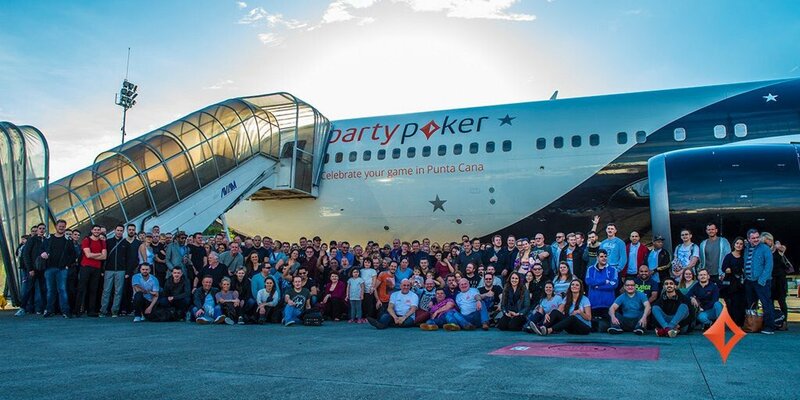 they could post more pictures from this event,not only four!they even had airplane for this event,so dont know is this in party poker property!StheP you must be this in pool or I am wrong!but at least players had lot of fun besides playing poker!